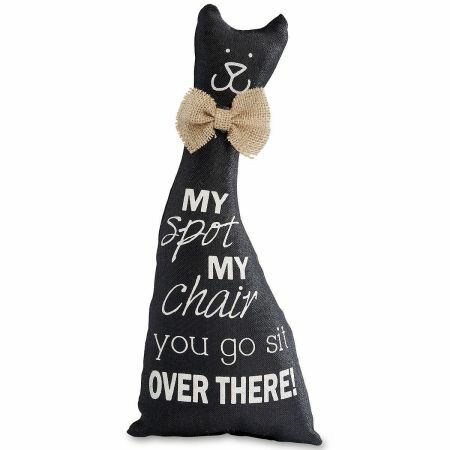 Shaped 14"H pillow expresses your cat's most regal feelings. Polyester with burlap bow-tie. Spot clean. Imported.